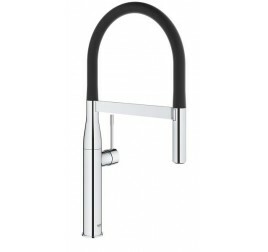 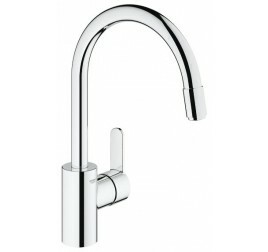 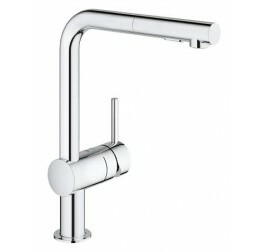 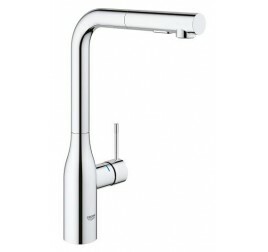 Single-lever sink mixer high spout single hole installation GROHE StarLight® finish GROHE SilkMove® 35 mm ceramic cartridge mousseur adjustable flow rate limiter swivelling tubular spout flexible connection hoses rapid-installation-system .. 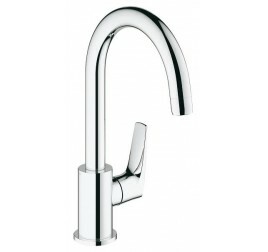 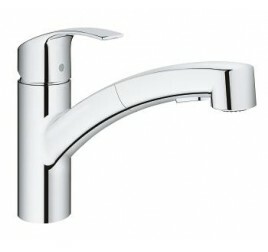 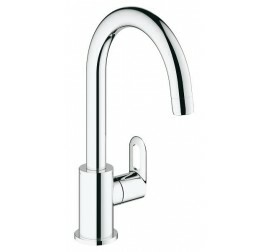 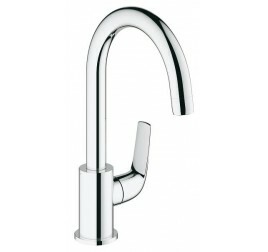 Essence Single-lever sink mixer 1/2" high spout single hole installation GROHE StarLight chrome finish GROHE SilkMove 28 mm ceramic cartridge flow strainer pull-out dual spray control - switches back and forth between regular flow and spray swivel tubular spout swivel area.. 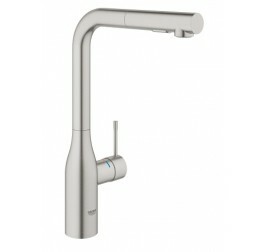 Essence Single-lever sink mixer 1/2" high spout single hole installation GROHE StarLight finish GROHE SilkMove 28 mm ceramic cartridge flow strainer pull-out dual spray control - switches back and forth between regular flow and spray swivel tubular spout swivel area 360° ..
Minta Single-lever sink mixer 1/2" L-spout single hole installation GROHE StarLight finish GROHE SilkMove 46 mm ceramic cartridge flow strainer pull-out dual spray control - switches back and forth between regular flow and spray adjustable flow rate limiter swivel tubular .. 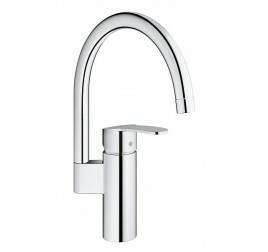 Available colours Yellow, Orange, Red, Pink, Purple, Green, Blue, White, Grey, Black Essence Single-lever sink mixer 1/2" single hole installation GROHE StarLight chrome finish GROHE SilkMove 28 mm ceramic cartridge flow strainer with integrated temperature limiter ..
Eurosmart Single-lever sink mixer 1/2" low spout single hole installation GROHE StarLight chrome finish GROHE SilkMove 35 mm ceramic cartridge flow strainer with integrated temperature limiter pull-out dual spray control - switches back and forth between regular flow and sp..
Eurostyle Cosmopolitan Single-lever sink mixer 1/2" high spout single hole installation GROHE StarLight finish GROHE SilkMove 35 mm ceramic cartridge pull out mousseur spout adjustable flow rate limiter swivel tubular spout swivel area 360° protected against backflow flexible co..